Take a peek inside some of Beaufort’s most beautiful historic homes April 8 when the Parish Church of St. Helena presents its 55th Annual Spring Tour of Homes. 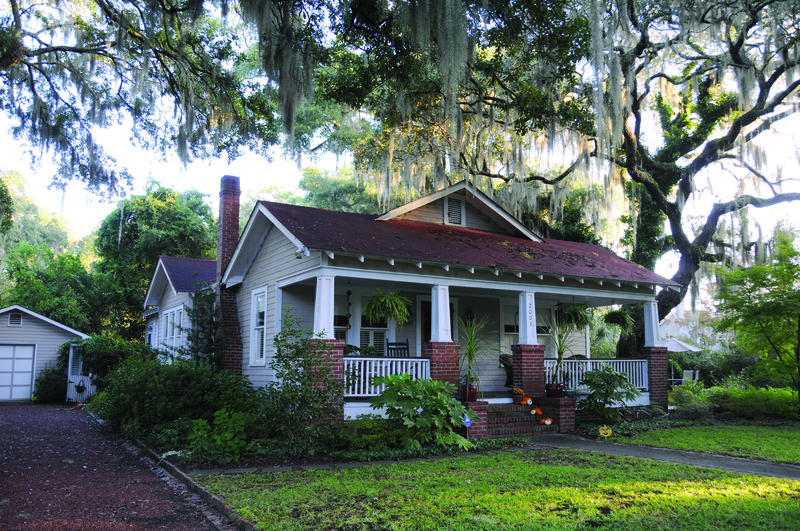 The popular Lowcountry fundraiser will feature six homes on Bay and North Streets in the much-celebrated Bluff neighborhood, along with two churches from the 18th and 19th centuries. To cap off the candlelight tour, guests will be invited to an outdoor reception in a private garden designed by internationally renowned landscape architect Robert E. Marvin, best known for his work on Callaway Gardens in Georgia and Beaufort’s own Waterfront Park. Guests can pick up their tickets at St. Helena’s parish hall as early as 4 p.m. and take a tour of the historic church that served as a hospital during both the Revolutionary and Civil wars. At 5:30 they can begin touring the homes, all located within an eight- to 10-block area of the church. Among the North Street residences is a 1929 Craftsman-style house that has been renovated and expanded at least three times. The current owners added a red tin roof, master bedroom and bath, a family room, laundry room and family room, along with a large guest house behind the original one-story structure. The house also features an eclectic collection of art that includes two pieces by renowned “outsider” artist Sam Doyle, five black and white images by Life magazine photographer Ed Clark and a large “cartoon” or sketch of a section of a fresco created by North Carolina artist Benjamin F. Long. 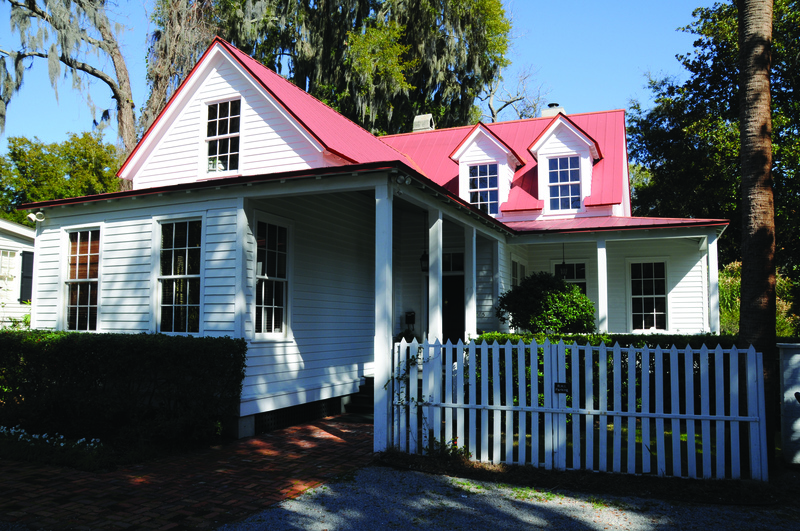 Also on the tour is a Bay Street house built in 1880 by a Civil War foot soldier from Upstate New York, who lived out his life in Beaufort and was buried in the St. Helena Church cemetery. “We gutted the place and did a total renovation, but we retained most of the interior detail, including the original flooring, plaster walls and four fireplaces,” said owner Trudy Stevens. 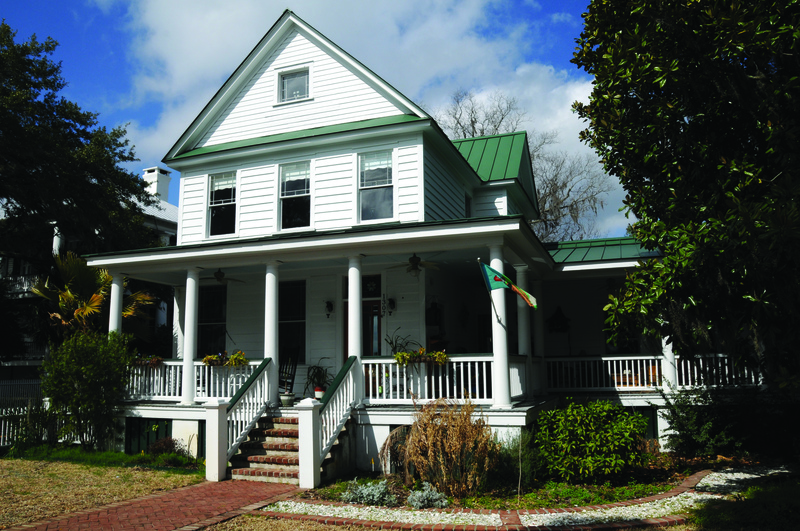 The newest house on the tour, built 17 years ago by the owners of the Rhett House Inn, was featured this winter in Southern Living magazine. Tickets to the house tour and garden reception are $40. 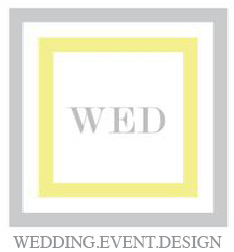 Proceeds from the event benefit a variety of local, national and international non-profit organizations. For more information or to purchase tickets, call 524-0363. 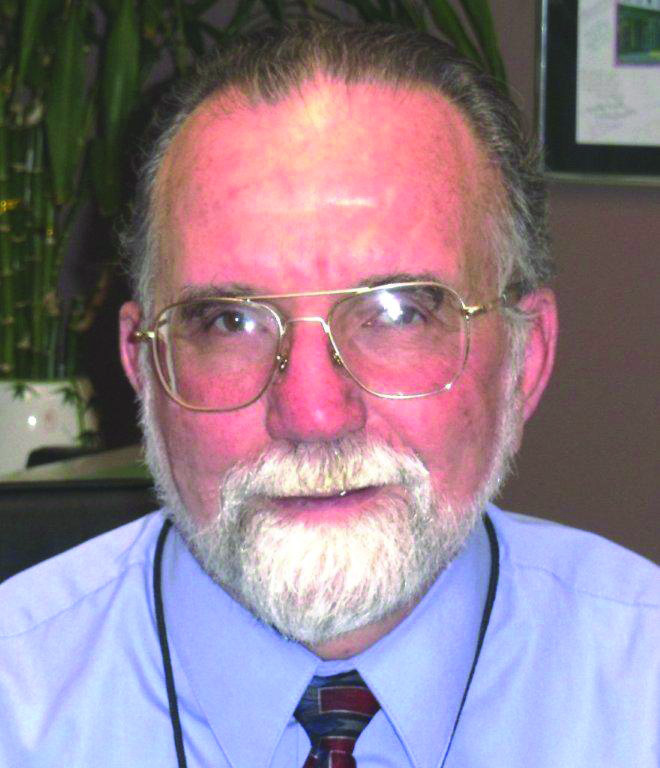 Mr. Criscitiello assumed his present position as Director of Planning for Beaufort County in 2000. 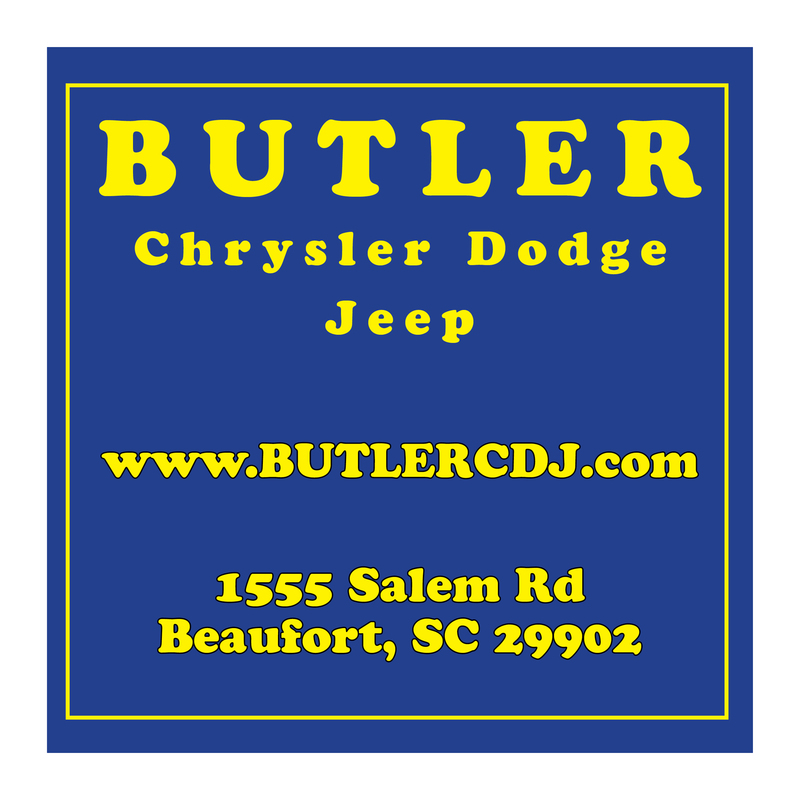 Prior to his arrival in Beaufort County his professional experience included service in the Governor’s Office with the Local Government Assistance Division, the Berkeley-Charleston-Dorchester Council of Government and Planning Director for the City of North Augusta. Since his arrival in Beaufort County, he has guided the initial implementation of the Comprehensive Plan, the 5 year review of the Comprehensive Plan, the development of the Southern Beaufort County Regional Plan, the Northern Regional Plan, the rewriting of the entire County Comprehensive Plan and is presently guiding the transition of existing zoning codes toward the use of a form based code. He has been requested to include in his discussion with our members the following items. – Has the Northern Regional Plan improved the manner in which growth is guided? – From a Beaufort County planning perspective what were the biggest failures and successes in the last decade? – What is a form based code and why is its adoption being promoted. – What effect will form based code have on Lady’s Island? – Are the annexation wars a thing of the past? – Is Beaufort County ready for the next growth surge? WHO WILL BE NAMED FAVORITES? Attention Beaufort! The votes are in. Winners of The Island News Favorites contest will be announced in next week’s issue! Don’t forget to get your copy on April 7th and see the faces and places that won in 127 categories. Today’s perception of a typcial high school student is akin to the economy. Everyone has a definition, a theory, and a story. With their heads tucked inches from an Ipad, their fingers in full attack mode of a text, and cloaked in the latest fashion of indifference, the portrayal is in a dim, unflattering light. Truth is, the entire world is swarmed with energetic, positive, dedicated teens with a social conscience that is far deeper than fashion and folly. They have somehow maintained precious optimism with views and ideas certain to cure the symptoms of a world sick with doubt. This week I met Pete Olsson who not only is president of the Beaufort Academy Student Body Government, but an all around goal achieving young man. In discussing what might have been a Hoops For Hearts fundraiser he chose to alleviate the stress of planning, logistics, and expense it may take to take on such a project. His solution was simple, meaningful, and pure brilliance. Pete has a head full of hair; well he did before Wednesday. 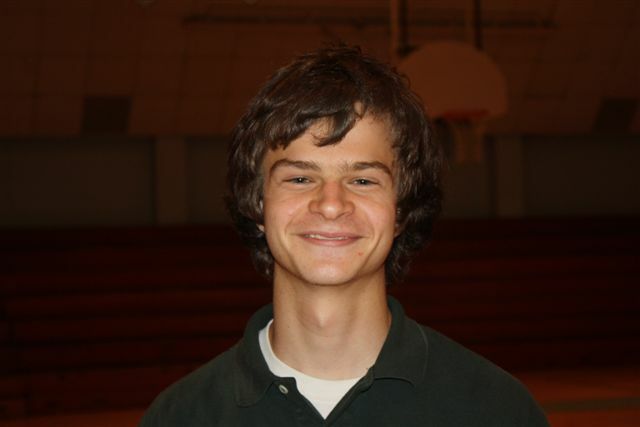 He challenged his fellow students to donate money to the American Heart Association in exchange for their chance to determine the fate of his locks! 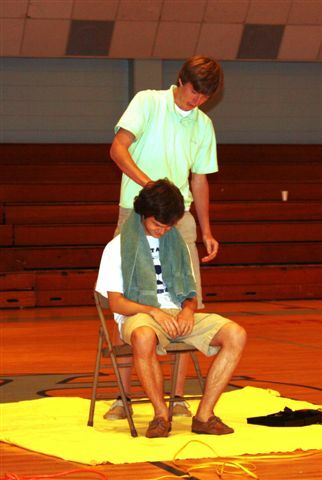 The students made posters depicting the hair cut options that were Saturday Night Live worthy! These kids had a blast. Pete made a promise and kept it. Wednesday Mr. Olsson became the proud recipient of The Friar. A fellow student, Lief Kopperneas proudly shaved the center of Petes head to commensurate attaining their goal of over $200 donated directly to the American Heart Association. What was a head full of hair turned clearly into a heart of gold. There are many young world changers flip flopping around Beaufort. Take a moment to encourage and support them; they are our near future weird hair cuts and all! “The Dining Room” takes place, not surprisingly, in an American dining room, where 6 actors play 57 characters in eighteen scenes taking place both over 80 years’ time and over the course of a single day. Playwright A.R. Gurney explores the ways in which the upper-crust once used this almost mythical space as a haven from the world outside, while their children and their “help” often felt oppressed by it. Scenes jump from one era to another, and sometimes the action overlaps, so that before one scene is finished, characters from the next scene enter. The 1982 Off-Broadway production of “The Dining Room” ran eighteen months, earned Gurney a place as a Pulitzer finalist, and established him as an important American playwright. Gurney’s script notes make it clear that the set should be a well-appointed dining room, set in a sort of limbo, or as if it were a roped-off exhibit in a museum. He also noted that the cast should ideally be six actors, “people of different ages, sizes and shapes as long as they are all good actors,” so they may play characters that are their “type” or completely opposite of their age and looks. The actors segue from noisy little kids to doddering old folks and every kind of character in between: eye-rolling Valley Girls, a strict, still-wealthy Depression-era father, or a stockbroker-turned-carpenter from the self-actualizing 60s. Gurney has said that he rewrote portions of dialogue and plot on nights his family attended performances, fearing they might recognize themselves and be upset. As a result, the comedy is one in which the audience can recognize themselves and their families with new insight. Spencer and other actors in the production agree that portraying up to ten characters each over the course of two hours was daunting at first. But now they love it. “The most challenging aspect is the emotional and mental transformations from one character to the next, sometimes one right after the other,” according to Spencer, who in one scene is a five-year-old at a birthday party and then a very old, very rich grandfather in the scene that follows. A total of 52 Awards were given in several categories. For a complete list of race results and more photos, please visit the Sports Page. Kayakers paddled almost 6 miles on Hunting Island for the Sea Island Rotary Adventure Rotary on Saturday, March 12. 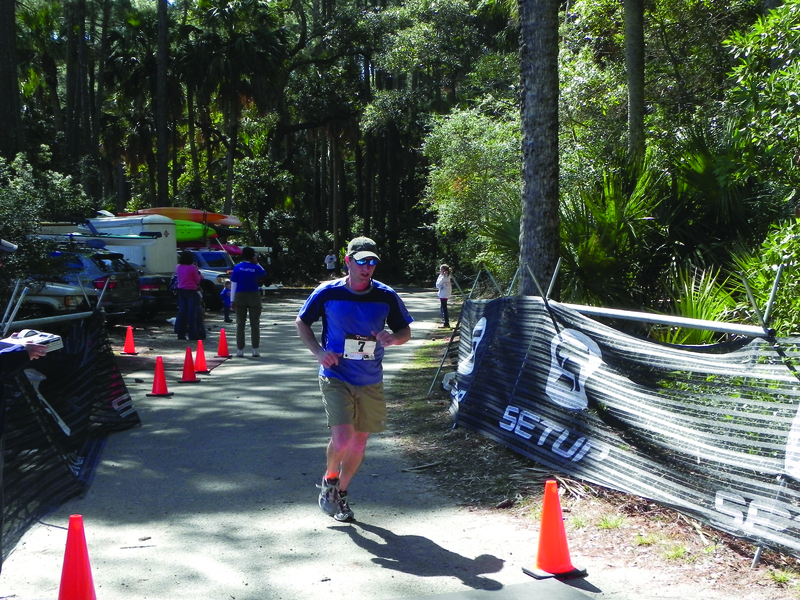 Last Saturday, over 150 participants took part in Sea Island Rotary’s Adventure Biathlon, a kayak and foot race at Hunting Island State Park on a day seemingly meant for an outside contest. Paddlers and runners couldn’t have asked for better weather with temperatures climbing to the mid-seventies on a beautiful, sunny afternoon. 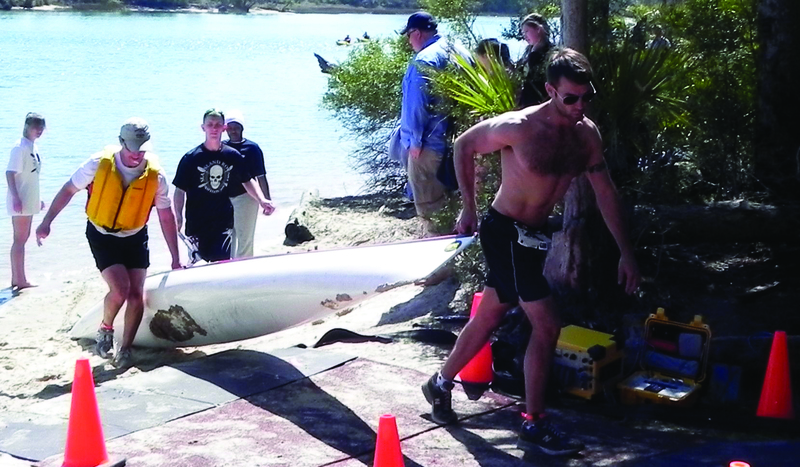 Charles Tumlin and Jered Kraszewski drag their kayak onto the beach and get ready for the running leg of the race. Paddlers of kayaks and one brave paddleboarder started and finished at the base of the Lagoon, located at the south end of the barrier island. Participants in solo, relay and tandem divisions paddled almost 6 miles. Upon beaching their boats back at the base of the lagoon, the running leg began; and race enthusiasts ran approximately 4.5 miles through the pristine maritime forest. Chip timing was used, which allowed Sea Island Rotary to provide split times for paddle and run, as well as compute results accurately and fast for each division. Setup Events organized the successful biathlon. Jeff Myers finishes 11th in the Men’s Solo and Kayak Run Division. Chuck Hiers from Springfield, SC won the Male Solo Division with a time of 1 hour, 9 minutes and 55 seconds, with Beaufortonian Pete Greene following closely behind by only 2 seconds. Kim Gundler from Beaufort won the Female Solo division with a time of 1 hour, 42 minutes and 23 seconds. All net proceeds from the Adventure Biathlon will be awarded to charities supported by Sea Island Rotary. For the eighth straight year, the Duke Symphony Orchestra will travel to the Lowcountry to present a benefit concert for Beaufort Memorial Hospital’s Keyserling Cancer Center. The March 26 fundraiser will feature approximately 65 members from the North Carolina university’s ensemble performing a repertoire of symphonic classical works. Joining them again this year on two of the evening’s selections will be the Beaufort High School Voices, an advanced student choral group. Local residents volunteer to host the visiting orchestra members during their stay in Beaufort. Over the years, many of the students have developed friendships with their host families. Held at The Arts Center at Beaufort High School on Lady’s Island, the 7 p.m. performance will include works by such composers as Schumann, Barber, Liszt, Hovnaness, MacDowell and Grainger. General admission tickets are $35. Patron tickets are $75 and include premium seating and a conductor’s reception following the concert at the historic Old Point home of Dr. and Mrs. John Gray. The entire orchestra also attends the reception. 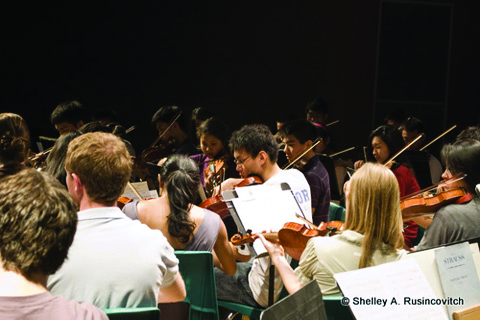 The Duke symphony rehearses twice a week and performs three to four concerts a semester, including a Labor Day pops concert for the Durham, N.C., community. This will be the fifth year Voices will perform with the college students. 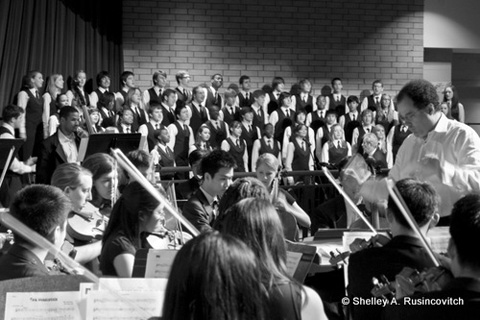 The 50-member choral group’s repertoire includes a wide range of music from jazz to classical. In recent years, Voices has performed at a number of prestigious events, including the Heritage Choral Competition in Washington, D.C., the Disney Jazz Festival in Orlando and the South Carolina Jazz Festival. Proceeds from the concert benefit the Keyserling Cancer Center and the Healing Arts Program. Once again this year, the foundation is offering discounted ticket prices for groups of 10 or more — $250 for 10 general admission tickets, $500 for 10 patron tickets. For more information on the concert or to purchase tickets, call the Beaufort Memorial Hospital Foundation at (843) 522-5774.